Pierre Dumont was born in Paris in 1884, but lived most of his life in Rouen, where his family moved when he was only three years old. 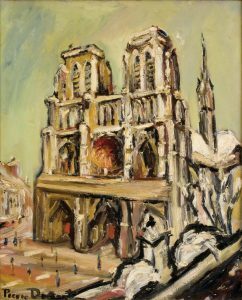 From an early age Pierre displayed an interest in art and painting, studying at the Lycee Corneille with Robert Antoine Pinchon and Marcel Duchamp under the supervision of Philippe Zacharie. 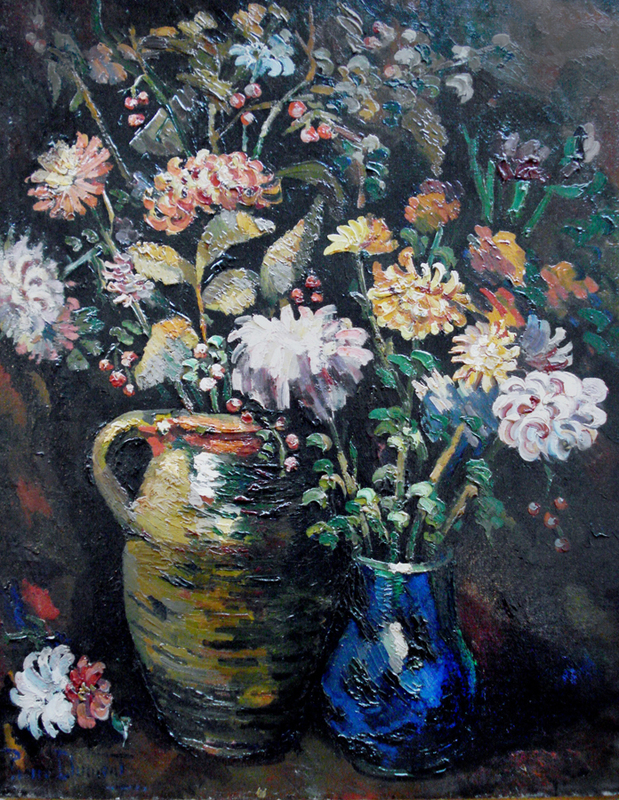 By the age of 21, he had completed his first major paintings. 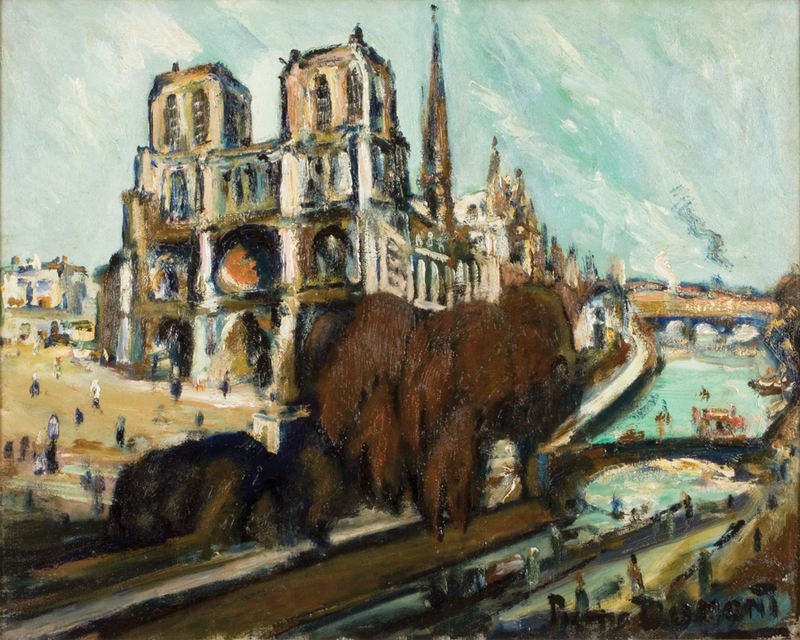 These early works were mainly painted in the fauvist style, popular at the time, and depicted the Normandy region which surrounded the young painter. However, fauvism was merely Dumont’s entry into the artistic world, and as he continued on in his artistic career he abandoned this style. 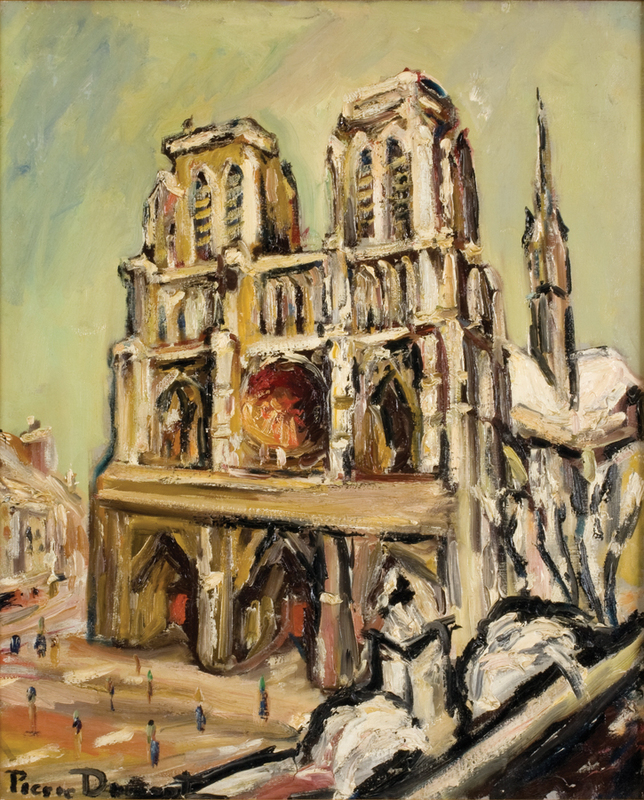 Despite facing opposition from his father, who feared painting was not a lucrative career, and his own financial struggles, Dumont continued to pursue a career as an artist. And it did not take long for his efforts to pay off. When the artist was 22, Dumont was given his first solo exhibition at Galerie Legrip, where his fiery temperament as a colorist was confirmed. This success prompted Pierre to move back to Paris where he continued to achieve success, his work being accepted into the 1911 Salon d’Automne, and he himself beginning to contribute to the journal La Section d’Or. Though the journal was short lived, it inspired Dumont, and put him in contact with several other painters of the time, including Apollinaire, Duchamp, and Picabia. Due to Apollinaire’s manifesto on ‘orphic Cubism’ (which was included in the journal), Dumont began to paint in this style, producing several cubist canvases from 1911 to 1913. 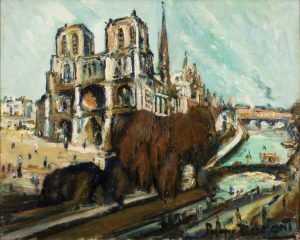 Dumont remained in Paris through World War I – when most other artists abandoned the city – but left for Normandy in 1920 and would ultimately spend the rest of his life there. Normandy inspired him, and the years he spent there were highly productive. Ever the versatile artist, Dumont continued to explore various other styles of painting, painting a range of subjects including landscapes, cityscapes and portraiture. However, though his artistic career was thriving, his health was declining. Dumont developed a nervous disease and would experience frequent attacks. In 1936, at the age of fifty-two, Dumont died from this disease, leaving behind a great legacy of painting.